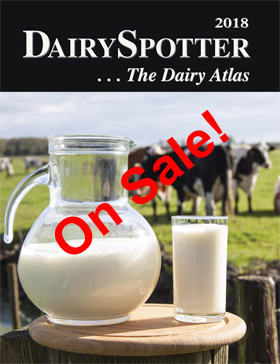 The 2018 DairySpotter is a completely updated and enhanced resource for locating dairies in 7 States. The 2018 edition contains 130 new dairy listings, 230 edits and changes from 2017, and 60 new maps. All the Additional Dairies are now listed by city, making it easier to locate the dairies in and around a specific town.